Volume 14 | ODU | High-Density for Challenging Applications! From medical technology to consumer electronics to military technology: the trend toward miniaturization continues. High-Density connections provide the highest possible number of contacts in the most compact space. It gives developers new possibilities and solutions while simultaneously challenging the manufacturer. Because the connectors’ reliability and electrical and mechanical robustness must remain intact in spite of the compact size. ODU, the specialist for electrical connector technology, introduced a new, highly robust miniature connector series at the exhibition electronica in Munich. “With a diameter of less than 10 mm to 18.5 mm and a contact density of up to 40 contacts, the ODU AMC High-Density series proves that premium quality can also come in small packages,” explains Günter Rohr, Global Portfolio Manager ODU. In addition to the High-Density signal connector, the company’s portfolio also includes versions for “Power” (up to 15 A) and “Data Transfer” (USB 3.0 with 5A power) in the most compact space. 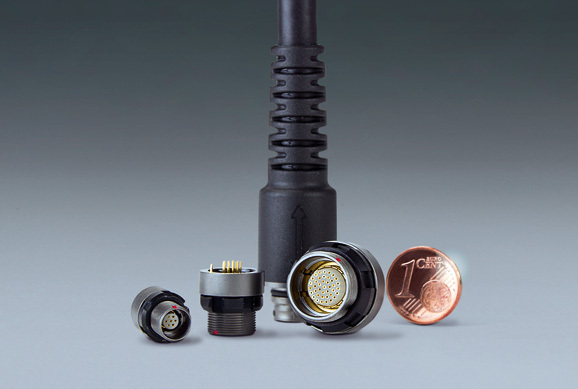 The ODU miniature connectors offer an impressively long service life of more than 5,000 mating cycles even under challenging conditions. Blind mating and optimized mechanical and colour coding ensure reliable and simple handling. Thanks to the Break-Away function, the reliable connection can be released with just a tug on the cable, which makes it possible to change or separate connections in a second. The new ODU AMC High-Density products were initially ODU’s response to the demand from the military and security technology field in Europe and the USA. In the second step the company is creating dependable High-Density connections in further markets, such as medical technology, sensor systems, and communication technology. 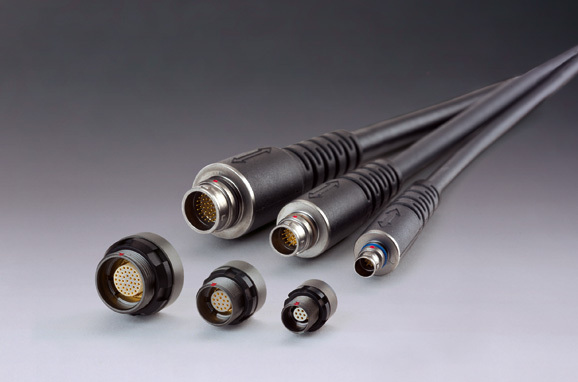 Upon request, the ODU experts will naturally also develop miniature connectors to customer specifications – and consequently create “A perfect alliance” around the world. ODU is one of the world’s leading connector systems suppliers and employs more than 1,650 people around the world. Aside from company headquarters at Mühldorf am Inn, the ODU Group also has an international production and distribution network in Europe, North America and Asia. ODU combines all relevant areas of competence and key technologies relating to design and development, machine tool and special machine construction, injection, stamping, turning, surface technology, assembly and cable assembly. The ODU group sells its products around the world and has an international distribution network. This includes seven sales companies in China, Denmark, England, France, Italy, Sweden and the USA, as well as numerous sales partners around the world. Connections from ODU ensure reliable transmission of power, signals, data and media in numerous demanding application areas: in future-oriented growth markets such as medical technology, military and security technology, and energy technology, as well as in established sectors such as industrial electronics, measurement and testing technology, and automotive technology.